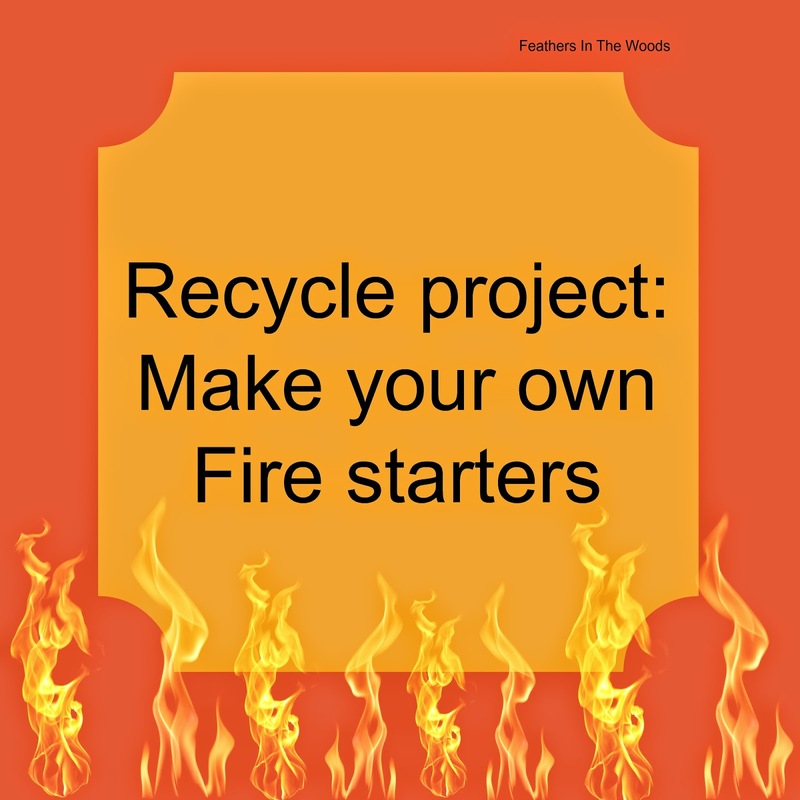 About 2 years back I posted a tutorial on how to Make your own Fire Starters. The fire starters I made in that post were the small size. They are the perfect size for starting a fireplace fire. In the summer though, we don't use the fireplace but we do use the fire pit. Nothing says summer like a great big bonfire! I decided I better come up with a larger sized fire starter for the bonfires. If i didn't come up with something, hubby was going to continue to do it his way and that is a bad idea! (I'll give you a hint....his way includes massive amounts of gasoline and a big "Whoosh" as it ignites! Not safe!!) I dug around and found a few ideas to make much larger fire starters. These ones still use old wax and this time I'm recycling egg cartons and empty toilet paper tubes. Just like the first fire starters, these ones are really easy, and cheap. I'll show you how! The easiest way I could do this was to video tape it. Now, I'm still learning video tutorials and didn't know my camera does this little picture when held this way...so, I'm sorry about that! As you can see, I'm not too good at this video thing yet, so I will explain briefly what I did. I gathered up dryer lint, used fabric softener sheets, paper egg cartons and empty toilet paper tubes. I put the wax I wanted to use on to warm while I stuffed the egg carton sections and the toilet paper tubes full of the dryer lint and fabric sheets. Then I poured melted wax over top of them till they were saturated. Let them cool and they will harden. You can cut the egg cartons into 12 smaller sections. I use about 3 or 4 sections in our fire pit each time I start a fire. These can also be tossed into a ziploc bag and taken camping. Do not use these in an indoor fireplace since you don't want any trace chemicals in your house or clogging up your chimney. If you are going to cook food on your campfire, give it plenty of time for the wax to burn off first. You could probably make them prettier then mine if you used all white lint and pink wax or something like that....I'm not that fancy though! Enjoy your camp fire! What a clever idea! We have a fire pit and these would really come in handy. Thanks for sharing with SYC. What a great idea. Thanks so much for sharing with Adorned From Above's Link Party. Look for the new party up tonight. Very clever idea to start a fire, especially with camping season on the way. Thank you for sharing with the Clever Chicks Blog Hop! I hope you’ll join us again next week!